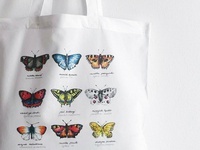 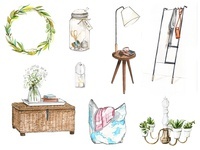 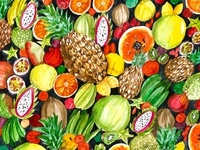 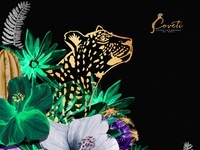 I'm a Poland-based illustration artist with a BA in interior design. 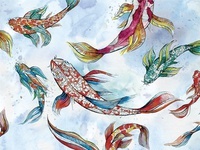 Passionate for watercolors and owls (which I painted so many that I lose count). 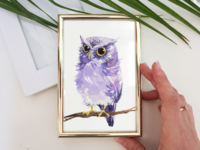 Watercolor Violet Owl — A tiny fluff surrounded by a golden frame. 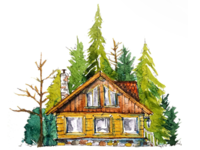 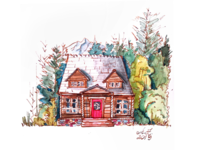 Into the woods / watercolor illustration — A tiny house surrounded by beautiful, calm woods. 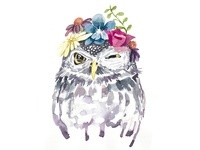 A Floral Owl — A not so happy watercolor floral owl. 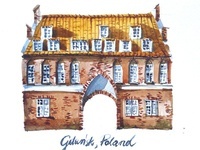 Watercolor Cow's Gate Gdansk — A painting of one of Gdansk's water gates. 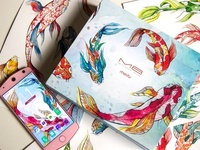 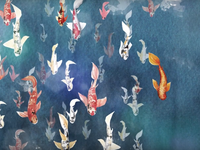 Koi Fish Watercolor Pattern Design — A pond of colorful flowing koi fish. 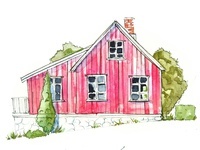 Watercolor architecture / memories — From my archi series. 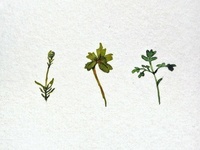 Watercolor Minimalism — Delicate pieces of naute on rough watercolor paper. 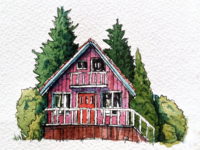 Watercolor and ink house #2 — Wooden house from the architecture series. 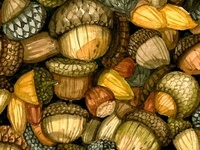 Stacked Acorns — One of five illustrations from the "stacked nature" series. 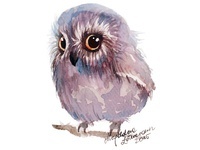 Watercolor Owl — A fluffy owl peeking over a branch. 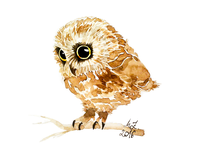 Watercolor Cutie Owl — My very first owl, that started my whole owl collection-journey.